It’s that time of the year again! Holiday shopping is definitely my least favorite part about the holidays, but it sure is fun to watch everyone open the gifts they get! I’m sure these Christmas gifts for teachers will be no different. It’s so important to me to share a little love with our children’s teachers this time of the year. After all…they are the ones who are with not only my child, but many other children too aaallllll. daaaaay. looooong! I’d say they definitely deserve some props! 1. What could be easier to make than the quintessential Cookies in a Jar?! Head on over to TheFarmGirlGabs.com for a few different ideas on recipes you can include in your Mason Jar. 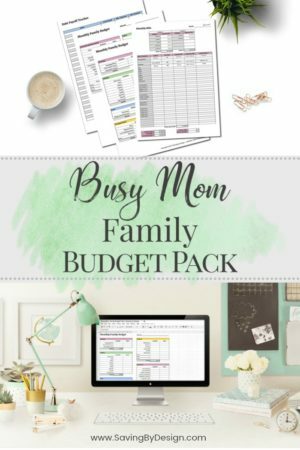 They even have some great FREE printables you can use. 2. 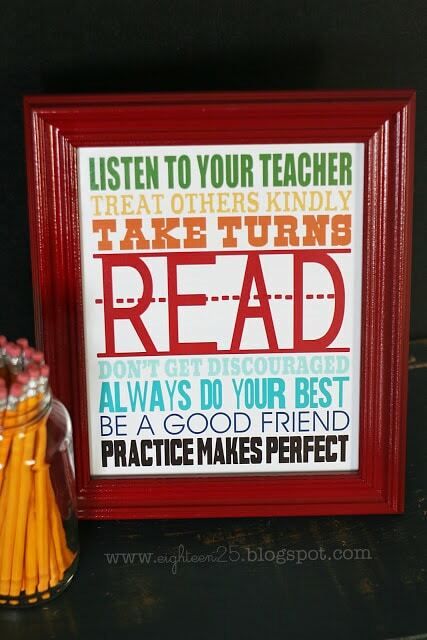 Looking for something that your child’s teacher can display in the classroom? Than how about this cute Subway Art Teacher Sign found over at eighteen25.com! You’ll find the printable over at their website and grab a frame at the dollar store that will fit the printed sign. Grab some cute spray paint in whatever color you want, paint the frame, and voila! You have an easy and frugal DIY gift for the teacher. 3. 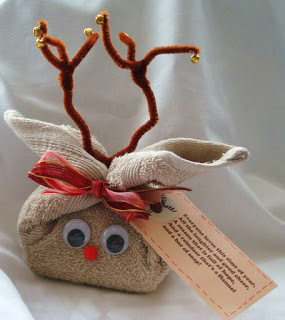 I love this Terrycloth Reindeer with Tag over at BumbleBeeCraftDen.com! Wrap up a special bar of soap, or even homemade soap, and use the cute poem that they have at the website. Don’t worry…they are going to walk you through step-by-step directions on how to create this cute reindeer all on your own! 4. Yum! Hot Chocolate Spoons! These are a great Christmas Gift to enjoy over the holiday season for that special teacher in your life. Get all of the details over at TheNerdsWife.com. And I’m pretty sure I’ll have to make a few extra of these for myself! They look too delicious to give them all away! 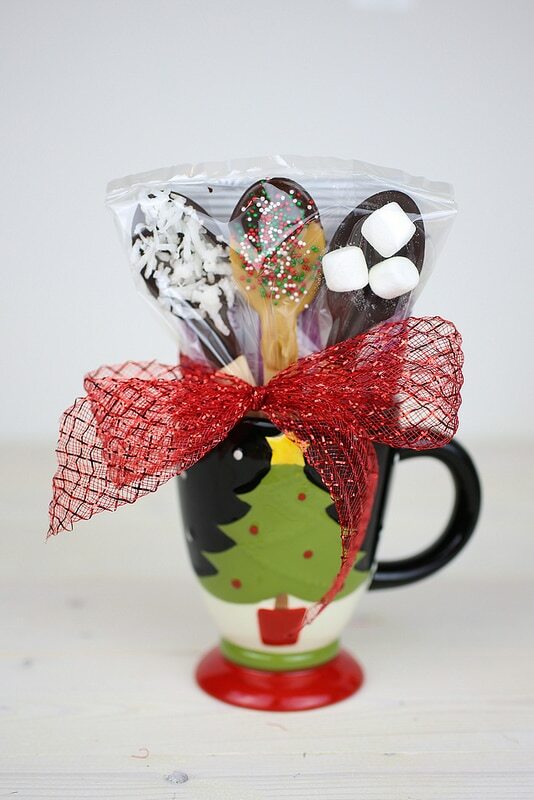 Pick up a cute holiday mug at the Dollar Store to present them in and your teacher will enjoy sipping away at their special hot chocolate all during Christmas break. 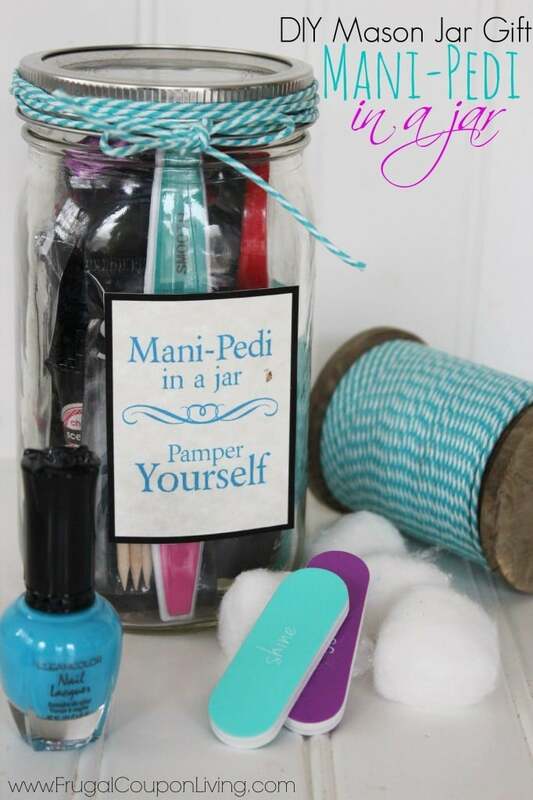 5. Who wouldn’t love to receive a Mani-Pedi in a Jar? 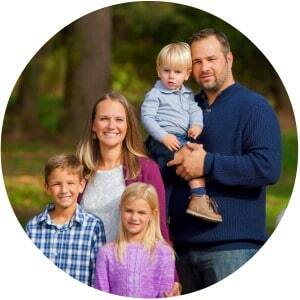 FrugalCouponLiving.com has a great example that you can use on their website. 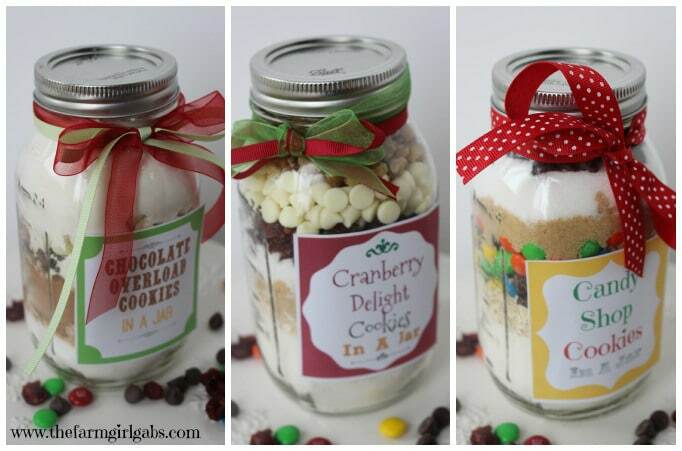 I love the different presents that you can make with Mason Jars and this one is no different. Maybe you can even find out the favorite colors of your child’s and make sure that what you get them falls in colors that they love! 6. OK, now this is just the cutest teacher’s present ever! 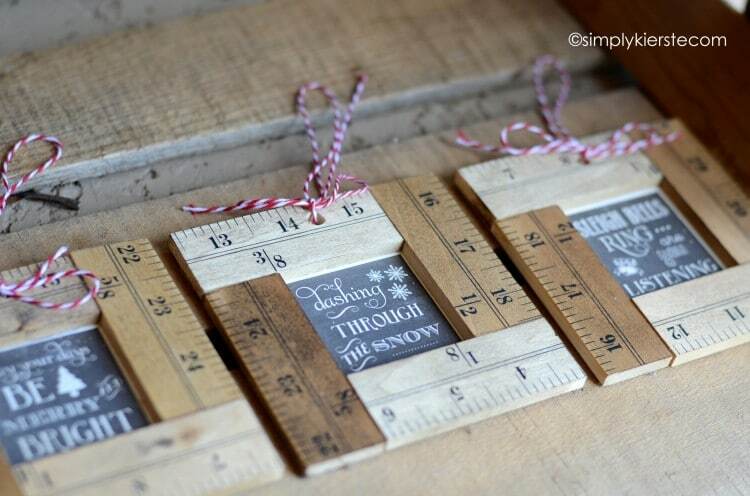 These Ruler Chalkboard Ornaments are found over SimplyKierste.com and are just too adorable! I love the ruler frame that is around the chalkboard sayings and how great would it be to have your child put their name and the year on the back of it? What a special memory as the years pass by. Again, I might have to make 2 so I have one for my own tree! 7. If you’ve never made your own vanilla, than you don’t know what your missing! DIY Vanilla is about the easiest thing in the world to make. Who knew?! 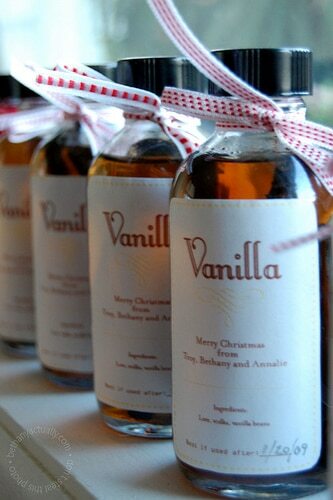 Head on over to BethanyActually.com to grab some labels for your homemade vanilla and you’ll have some great presents ready for not only your child’s teacher, but any other quick presents you need to be prepared for this Christmas too. And it tastes great! 8. I absolutely love making salt scrubs. I’m kind of addicted to it actually. 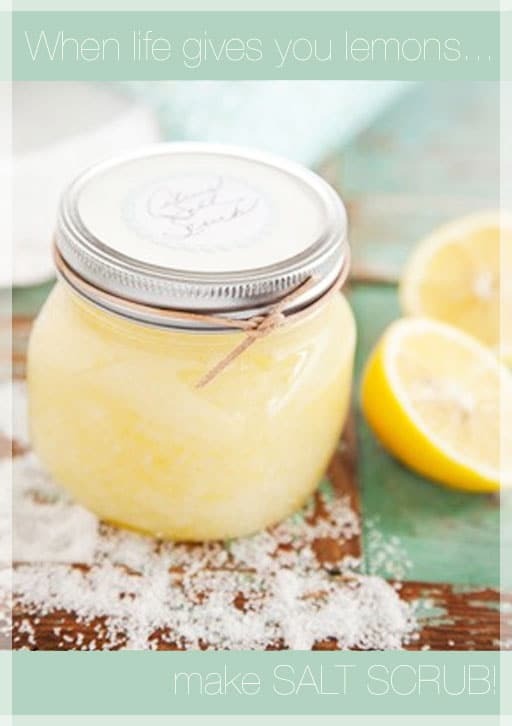 And this Lemon Salt Scrub from TheBeautyDepartment.com is a great one to try at home, too! 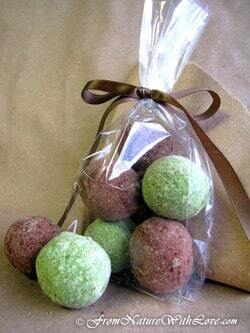 They are really easy to make and feel amazing during the cold, winter season. I’m sure your child’s teacher will absolutely love a little bit of the pampering feeling this salt scrub will give. 9. No matter what teacher you talk to, they always appreciate some kind of Teacher Survival Kit. This specific kit was found over at SerenityNowBlog.com, but you can customize it to whatever grade or need your child’s teacher may have in their classroom. 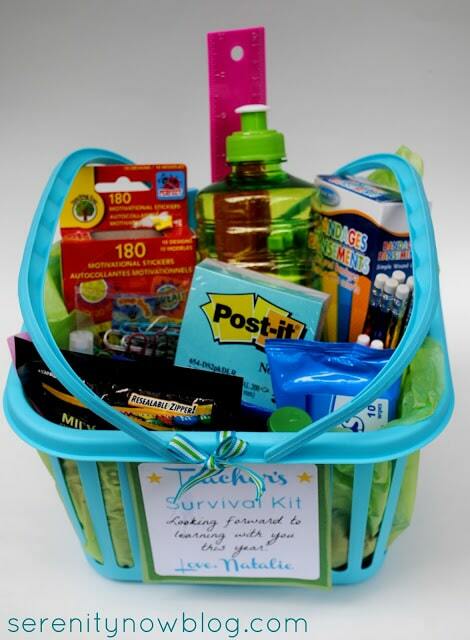 This is also a great one to pair up with another parent to really be able to make sure you get them a survival kit that will last them the rest of the year. 10. 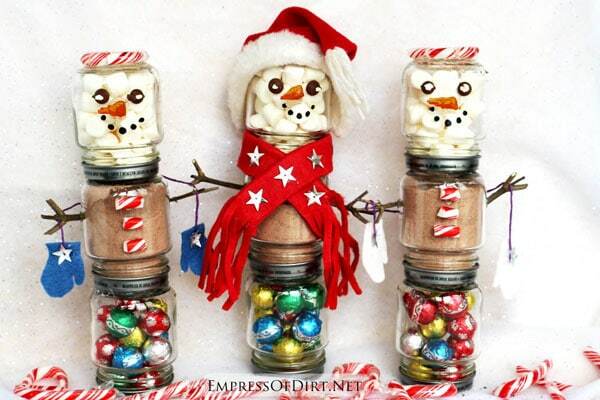 How cute are these Snowman Hot Chocolate Kits from EmpressOfDirt.net?! I know my kids are going to love helping out with these, but probably only after I make them some hot chocolate first! Feel free to decorate your little snowmen however you see fit, but there are some great ideas on the website that you can use for inspiration. I just love these to pieces! 11. Homemade Chocolate Peppermint Bath Bombs?! OK! Head on over to NaturalBeautyWorkshop.com and learn how to make these little pieces of heaven. Don’t forget that you’re making these for gifts, so don’t get carried away and keep them all for yourself! 12. 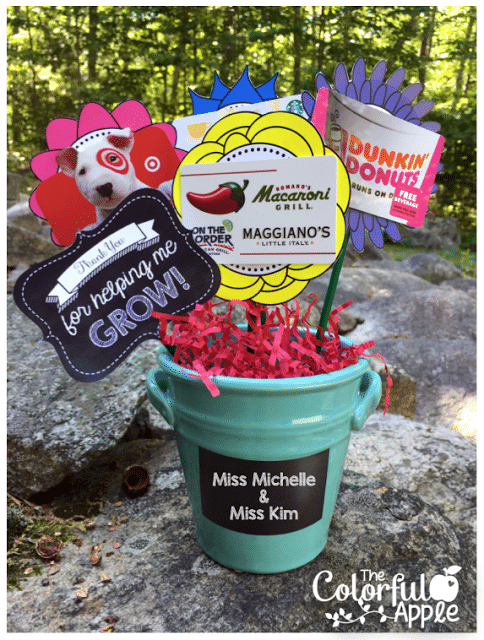 This Gift Card Flower Plant idea is my absolute fav. Found over at TheColorfulApple.com, it’s a great way to really spoil your teacher. Other parents, along with myself, got together and did this last year and it literally brought our teacher to tears! Use different gift cards for popular local places, or find cards that will be useful for school needs they may have. They’ll absolutely love it! There you have it! Get these out of the way so you don’t have to worry about last-minute projects right before the big day. It will be so nice to know that you have this all set and ready. I also love the idea of having some quality time with my littles making these presents. Things tend to get a little crazy over the holidays, so having some time to spend one-on-one is always important. Have fun and I hope all of the teachers in your life love their gifts!